The EPUB (short for electronic publication) is a popular e-book format. And while most e-book readers support EPUB format by default (like Kobo eReader and Apple’s iBooks app) it’s a shame that Kindle does not and so do Windows. So, how to read ePubs when you are using a Windows computer and which ePub reader to download? Let’s find out. This guide is for Windows computer owners who are looking to read ePubs on their computer or laptop and looking for some cool tools with mean features. While there is no shortage of ePub readers for Windows, each one is different is some way or the other. Whether you want a downloadable software or a browser plugin, I have something for you. Note: Some EPUB files are DRM-protected, meaning they can only be opened in particular devices/apps they come with. So, if you are not able to open ePubs using the following software, you might want to check them for DRM. With that being said, let’s begin. 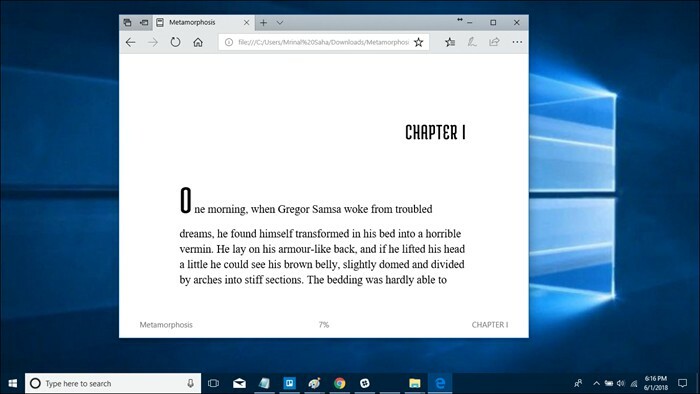 If you are using Windows 10 and using the new, and vastly improved Edge browser, Microsoft offers a built-in solution for reading ePub files – from Windows 10 Creators Update. It has been named Books (found under Hubs) and works inside the Edge browser, and comes with a marketplace. The good thing is that you don’t have to download any extra files and it comes with some basic functions like search and bookmark. You can also use the Text-To-Speech function to listen to the ePub but that’s about it. It’s work in progress. The bad news is that it lacks a lot of other features like annotations and highlight which should have been part of the package. I will cover better ePub readers that will not only offer this but a lot more like two-page view, file converter, and UI customizations. Note that it will only support DRM-free ePub files. Adobe is known for creating solutions that allow its users and developers to work with documents. It comes as no surprise that Adobe has an ePub reader available for free. There is support for ePub 3 which allows users to enjoy a richer reading experience. ePub 3 was built for that. There is support for right to left reading for people who prefer that. The images are resized dynamically so that there is no loss in quality. This matters because different people have different sized monitors. I found all the regular features there like bookmarks, notes, highlighting, and bookshelves. The last one helped me organize my entire collection neatly. I could then use the search feature to find titles easily. You can rent books to your friends using Adobe Digital Editions and also borrow some from your local libraries. This makes more books accessible to you. Note that when I downloaded Adobe Reader, I also installed, unknowingly, Norton Security Scan. Though I trust Adobe, a disclaimer of some kind would have been nice. Not cool. Readium is a Chrome Extension that is based on ReadiumJS – an open source initiative. It was built for reading ePubs online right in your Chrome browser. 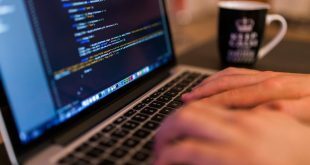 This is useful for those times when you come across an ePub on the web and don’t want to download the file to your computer. But that is not the only thing Readium can do. If you have ePubs sitting on your system, you can use Readium to read those too. This makes Readium is a good online ePub reader solution for Windows users. The fact that the project is under continuous development helps the cause. You can customize the font size and color and also change background color depending on whether you are reading during daytime or night. You cannot compare it to something like Adobe though. While Readium is a Chrome extension which makes it ideal for browser reading, what about other browsers? Neat Reader is a cross-platform enabled advanced ePub reader that will save all your ePubs in the cloud. 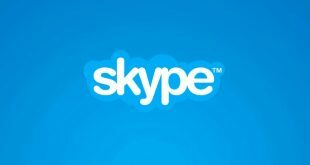 Now, you can access them on any browser on any Windows computer. It works on other OS like Mac and Linux too. Usual features like font type, size, color, and background are all there. Plus, you can bookmark and make notes which can be helpful for reading reports. Select single or double pages depending on your reading preference. I like reading physical books more so double pages for me. The free version will allow you to manage up to three books and make 5 notes in each book. You can get premium version for a one-time payment of $19.99 which gives you cloud storage, sync, and premium customer support. This one comes from the house of Microsoft itself. 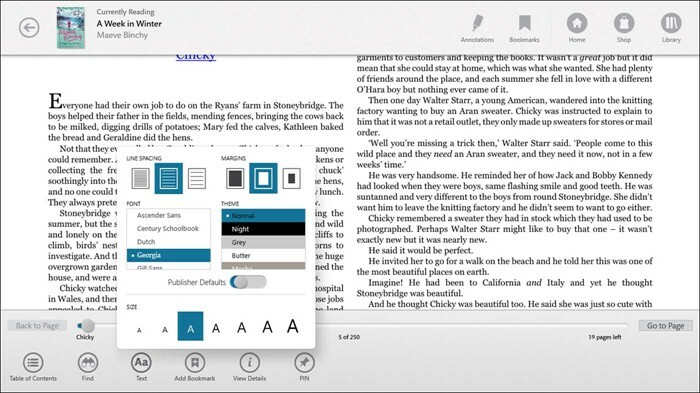 Bibliovore is an eBook reader and manager that integrates with Microsoft’s OneDrive to provide cloud storage and sync. The software is free to download and use. 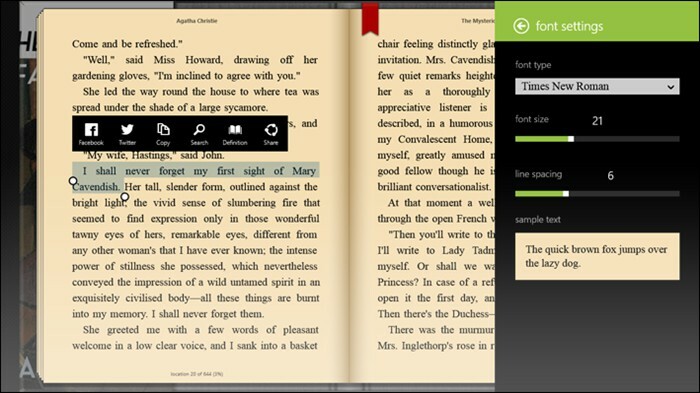 It comes with bookmarks, annotations, reading modes, font management, and themes. I noticed that Bibliovore allowed me to download ePubs from online libraries directly, just like Adobe did. It is available for Windows 8.1 and onwards so Windows 7 and previous users must find another solution. On the other hand, UI is intuitive and beautiful. Bibliovore’s strength lies in its management and organization skills. It allowed me to edit the metadata and organize my entire collection within minutes. Most advanced ePub readers with cloud sync charge a premium but OneDrive is free for up to 5 GB which is a real plus and makes it a tough competition. There is nothing quite like reading physical books. The feel of paper in your hands, the smell of leather/paper, it makes you feel like you are part of the adventure. Bookviser wants to make you feel that once again, just without the smell part. The UI will give you the impression that you are reading a physical book instead of an ePub. There are a lot of ways you can change the UI depending on whether you want the physical book feel or the digital one. 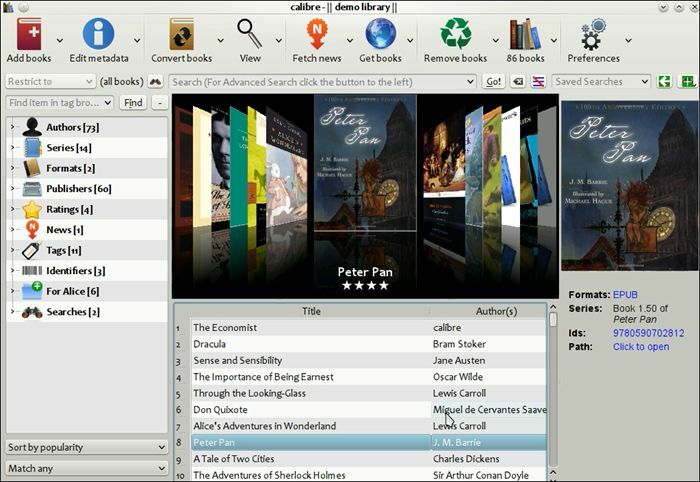 Bookviser is free to download for your Windows computer. Usual features that you would expect from regular ePub readers are all there. In addition, there is support for Gutenberg, Smashwords and other public libraries where you can download free classics. Barnes & Nobles was the biggest name in the book reading world until Amazon decided to launch Kindle and gave them a run for their money. In retaliation, they launched the Nook. Nook is comparable to Kindle and Kobo, which I will discuss next, in terms of features and an online marketplace to buy books. 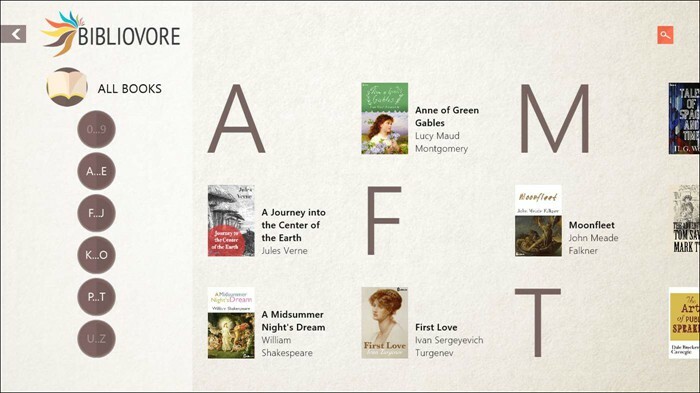 Like other ePub readers before it, Nook offers themes, fonts, backgrounds, bookmarks, sync, an online marketplace, and access to many classics. Nook is cross-platform enabled. What you don’t get elsewhere is access to magazines and newspapers which are available under a 14-day free trial. Then you will have to subscribe. I am a big comic book fan. Nook gave me access to comic books too which was an added bonus. They have experts, humans and not AI, who will help you choose your next book based on your tastes and reading habits. A nice touch. Kobo, like Nook and Kindle, offers a marketplace, a number of handheld devices in different formats and designs, and apps for different platforms including Windows to read Epub books. Where Kobo shines and Kindles fails is its support for ePub (and ePub3) formats. Kindle came up with its own format. Kobo, like Nook, offers the ability to track progress, sync across devices and apps, bookmarks, and all the other features we have so far discussed. Where Kobo shines, and where it competes with Nook, is its marketplace where you can find not only books, but also comics, children’s books, and magazines. There are millions of titles to choose from including free access to classics. Calibre is probably the most powerful ePub tool that you could have installed on your Windows. While most eReaders that I shared were just that, eReader with some features, Calibre is more than that. 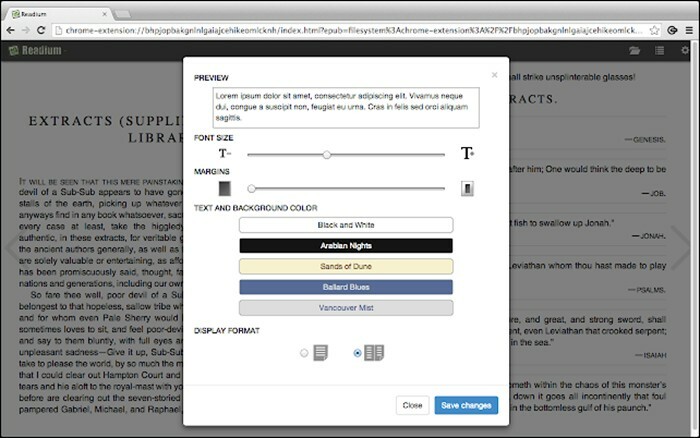 You can use Calibre to not only read ePubs but create them too. 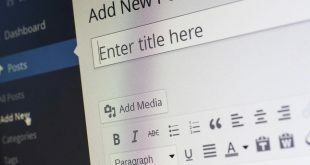 It is one of the favorite tools of writers across the world. 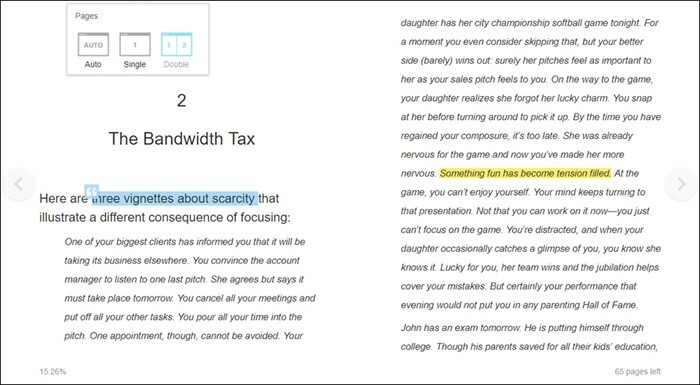 If that was not enough, you can also use Calibre to convert eBooks from one format to another. For example, remember how Kindle doesn’t support ePubs? You can use Calibre to convert ePub to mobi (kindle’s proprietary format) and transfer it directly to Kindle from within the dashboard. It handles any format you throw at it. I also liked how it was able to download covers for ePubs that had it missing. 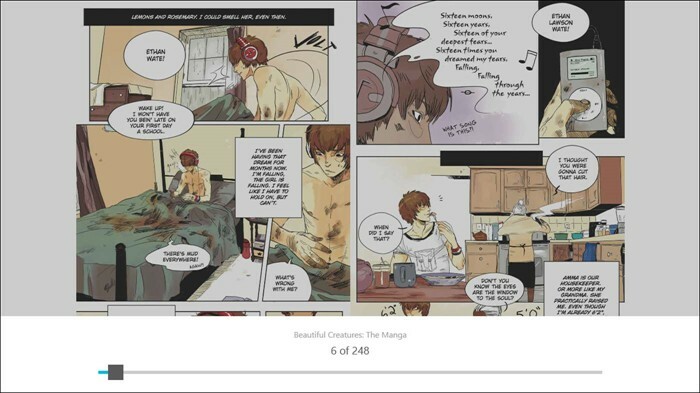 I don’t like it when the ePub I am reading doesn’t have proper meta or cover. Calibre offers a solution to for both. All other features that you would need while reading ePubs are there like bookmarks, annotations, library, organizing books, and so on. There is no marketplace. Calibre is free to download for Windows 7 and onwards. Last in the list is the Beatle Reader. It is a relatively new name in the ePub market where giants like Calibre and Adobe are operating. It works in the browser itself so no need to download and install anything. It supports a multi-page layout to give you that book feeling. You can expect other regular features like notes, annotations, bookmarks, and search in there. Where Beetle Reader differs is their white label product that you can use to brand it to your liking. You see, Beetle Reader is a business offering for those who want their readers to read on their branded eReaders. In their own words, they are geared towards bookstores, publishers, and agencies. Apart from ePub, there is also support for audio and video content which makes it a unique offering. I signed up and found that Beetle Reader is free for now but I am expecting them to come up with a pricing plan soon. White label products are never free. There are quite a few ePub readers to choose from and depending on your needs, we have something just for you. If you want to read ePubs and eBooks online, in the browser, Readium is a cool Chrome extension. If you want the most powerful ePub reader that can also create ePubs and connect with a number of 3rd party platforms like Apple, Nook, and Kindle, Calibre is for you. If you want a marketplace with comics and magazines, Nook and Kobo are pretty much on the same level with the former taking more precedence. If you want something light-weight and simple but equally powerful, Bibliovore and Bookviser are both good alternatives.